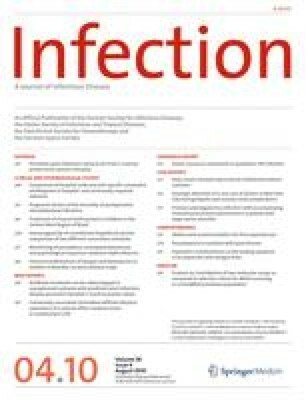 There is increasing recognition of the importance of community-associated Clostridium difficile infection (CA-CDI) despite little being known about its epidemiology. We performed routine, active laboratory surveillance for CDI at the Durham Veterans Affairs Medical Center between January and December 2005 and extracted data from the electronic medical record for this investigation. Bivariable analyses were performed using the chi-square test, and continuous variables were compared using two sample t test and Wilcoxon rank sums. We identified 108 CDI cases during the study period; 38 (35%) had onset of disease in the community and, of these, 31 (82%) met the definition for CA-CDI. A comparison of CA- versus healthcare facility-associated (HCFA)-CDI revealed that CA-CDI patients were younger (median age 58 vs. 69 years, respectively; p = 0.01), with the majority being <65 years, but had similar co-morbidities to HCFA-CDI patients. CA-CDI patients were reportedly exposed less frequently to an antimicrobial or a proton pump inhibitor than HCFA-CDI patients, while the latter showed a trend towards a higher 60-day all-cause mortality (3 vs. 17%, respectively; p = 0.06). CA-CDI is the primary reason for community-onset CDI in our community. Compared to patients with HCFA-CDI, those with CA-CDI were younger, had fewer reported exposures to antimicrobials or PPIs, and had lower mortality. Further study is needed to identify unrecognized risk factors of CDI in the community. We thank Drs. Clifford McDonald and Preeta Kutty for their advice and editing as well as continued collaboration and Dr. Kenneth Wilson for his continued mentorship and support. We would also like to thank Drs. McDonald and Dubberke at the SLVAMC for their collaboration on this project. This work was supported by an American College of Gastroenterology grant.